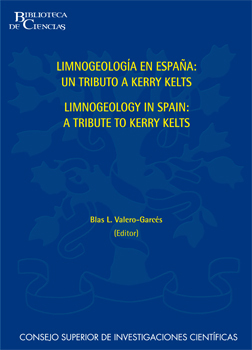 "Limnogeology in Spain: a tribute to Kerry Kelts" is a scientific homage of the Spanish Limnogeologic Community to one of this members. During the 1980’s Kerry initiated what was to be one of his scientific passion: the global study of modern and ancient lake basin. He defined and coordinated the International Geological Correlation Program Project 219 (Comparative Lacustrine Sedimentology in Space and Time) and was very active in the next Project IGCP 324 GLOPALS (Global Paleoenvironmental Archives in Lacustrine Systems) coordinated from Spain. His global vision led to the term "limnogeology" and he can be considered the father of this new and thriving field in the geosciences. The book describes the significant role Kerry Kelts placed in the development of limnogeologic studies in Spain during the last two decades. It includes a piece of Kerry’s writings on the use of smear slides and microscopic analyses to describe, classify and interpret lacustrine sediments. The book contains thirteen chapters dealing with different aspects of lacustrine research in Spain. Two chapters describe the sedimentology of lacustrine formations from two classic continental Basins (Duero and Guadix-Baza). Several papers deal with multiproxy studies of Late Quaternary and Holocene records from saline lakes, peatbogs, and karstic lakes in the Iberian Range, La Mancha and Andalucía. Other contributions focus on particular lacustrine facies (palustrine carbonates, microbialites, seismites, and lacustrine dolomites) and their environmental interpretations. Two papers describe the use of mineralogy and biomarkers to reconstruct past lake levels and depositional environments. The final chapter introduces the sedimentology of human-made lakes (reservoirs), with some examples from Spanish reservoirs. This book was added to our online catalog on Monday 30 April, 2012.